Just when I thought I understood the vast extent of food fraud, FoodLawLatest reported about another one: rice made from plastic. Rice is one of the cheapest foods available, so I had not considered that it presented a risk of economic fraud. If someone is making a profit from selling a food, then there is a motive and opportunity for someone else to sell a counterfeit version of it. This problem is worldwide — from fake bottled water in China, to counterfeit Smirnoff vodka in Europe, to mislabeled seafood in the U.S. And this problem is not limited to high-value products. Although some fraudsters are criminally prosecuted, some consumers who discover food fraud seek justice with class action lawsuits. NBC Bay Area has reported that foodservice giant Sysco allegedly kept perishable foods in unrefrigerated storage lockers for several hours before delivering them to customers. If these allegations are true, they raise multiple issues regarding food safety and quality. Most laypersons know that perishable food like milk and meat must be stored at proper cold temperatures to maximize food safety and minimize the growth of many dangerous pathogens. The USDA recommends discarding many perishable foods that have been held above 40 degrees F for more than two hours. Sysco clearly understands these concerns, as it (1) presents ServSafe “state-of-the-art food safety training” and (2) tells investors all about the high technology used in its climate-controlled warehouses. Refrigeration is also critical to maintain food freshness throughout its recommended shelf life. Perishable foods that have been subjected to temperature abuse rapidly degrade in quality, so buyers may not be getting all of the freshness they paid for. So how can buyers protect themselves from temperature-abused food that might look just fine when it is delivered? Technologies like RFID provide data to verify proper holding temperatures throughout the supply chain, but they are not used as widely as they could be. If the allegations are proven, “Sysco faces misdemeanor criminal charges and a one thousand dollar fine for each violation,” not including possible customer lawsuits. 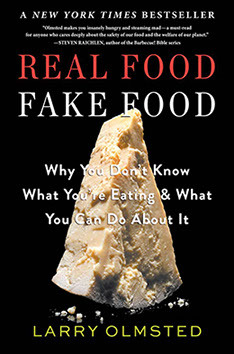 Why is Food Fraud Pervasive? Follow the Money. NPR recently reported that a sushi chain owner in Japan paid $1.76 million for just one (489 pound) bluefin Tuna. Per pound, that is more than the price of “the very best connoisseur cannabis” in California. With such strong economic motivation and weak criminal penalties, is it any wonder that 39 percent of fish sold in the U.S. is mislabeled? “Do you really know what kind of fish you’re eating?” And why that’s such an important question? As recently reported in Food Safety News, food fraud (by way of species substitution) presents more than a risk of ripping off consumers. Pregnant women may be unwittingly exposed to toxins, gastric distress, and allergens from consuming seafood that is not what it purports to be. Honest employees of fishing companies, distributors, and retailers that sell genuine products can lose sales and their jobs. U.S. Senator Barbara Boxer (D-CA) recently asked the FDA to increase its efforts to reduce seafood mislabeling. For bad actors, increased “traceability and enforcement . . . from bait to plate” presents risks of criminal prosecution and civil damages from class action litigation. However, for seafood companies that adopt best practices, it also provides promotional and marketing opportunities. Today’s edition of Dairyreporter.com reports that numerous Chinese infant formula manufacturers are allegedly falsely claiming that their products were manufactured in New Zealand. At least one company, Abid, allegedly falsely claimed a product endorsement from Prime Minister John Key. Chinese consumers are willing to pay a premium price for NZ baby formula due to its perceived safety and quality advantages over Chinese-made products. Chinese consumer confidence in the safety of domestically-produced food has declined over the last year, and dairy products are the number one imported food in the country. In just June and July 2012, Chinese firms recalled infant formula and milk products contaminated with mercury, aflatoxin, and lye. These recent problems demonstrate that the country still needs to improve its food safety and quality after the 2008 melamine-contaminated infant formula disaster that implicated 22 companies. Why should my Company Care about COOL Fraud? Companies should consider proactively addressing country-of-origin labeling (COOL) fraud to reduce the risk of brand dilution, lost sales, and injuries to their customers. New Zealand has a top-three country brand name. Some of its manufacturers are specifically marketing their products as being “safe” or “tamper proof,” based on the country’s strong food safety and environmental standards. Higher Western food safety standards present an opportunity to boost sales to Chinese consumers. COOL fraud also may present risks of civil and criminal liability as well as conviction in the court of public opinion.